On Thursday, January 17, 2019 at 4:52 a.m. dispatch received 911 calls regarding a shooting at a home on Dragon Tree Dr. in Hesperia. Deputies responded and found an adult male inside the home suffering from a gunshot wound. The victim was pronounced dead at the scene. 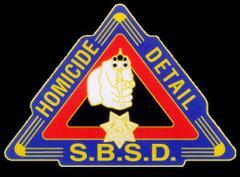 Sheriff’s Homicide Detectives responded to conduct the investigation. Following the scene investigation, Detectives learned that the suspect entered the home and once inside, the suspect shot and killed the victim. The motive for the shooting remains under investigation. No additional information is available for release at this time. Anyone with information related to this investigation is urged to contact Detective Simon Demuri of the Specialized Investigation Division – Homicide Detail at (909)387-3589. Those wishing to remain anonymous can call the WeTip Hotline at 800-78-CRIME (27463) or leave information online at www.wetip.com.